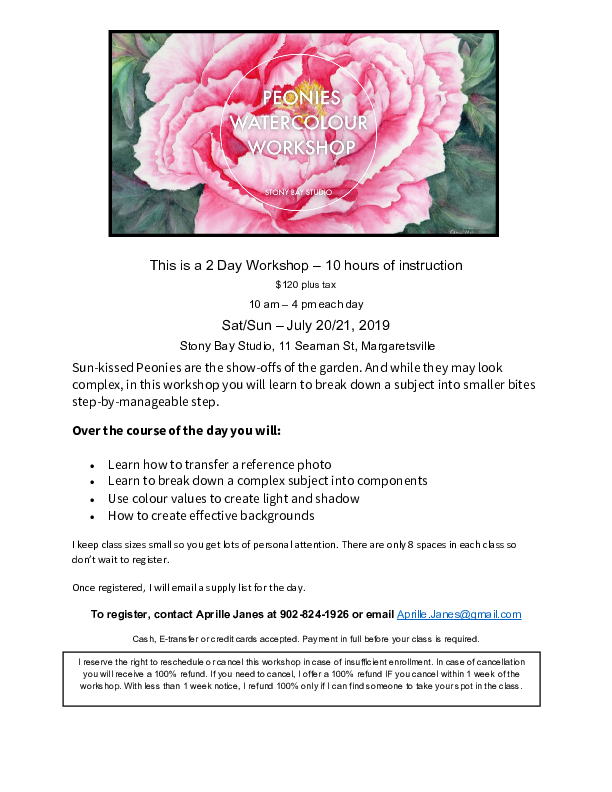 This is a 2-day workshop starting on the date indicated and completed the next day - over 10 hours of instruction. Is there anything more Nova Scotian than boats in a sun-kissed harbour, the sea beckoning in the distance? I walk you through step-by- as you create your own special moment. I keep class sizes small so you get lots of personal attention. There are only 8 spaces in each class so don’t wait to register. Once registered, I will email a supply list for the day.